When you think of the name marshmallow root, your mind is probably conjuring up images of fluffy sugary treats perfect for s'mores and hot cocoa. In fact, you may find it hard to believe that anything responsible (at least historically) for this sugary treat could actually be good for you. However, there's not much room for doubt about a plant's healing capabilities when its Greek name, Althea, literally means "to heal." While our current form of commercially available marshmallows no longer contains any actual marshmallow root, it originally did. But our ancestors knew there was much more to this plant than the potential for a fluffy white snack food. Even the Greek physician, Hippocrates, claimed that the marshmallow root was of great use to effectively heal wounds. In ancient times, marshmallow root was used to treat a variety of ailments and conditions. It was used for healing bruises and burns and to help soothe muscle aches, sprains, and inflammation. It was also believed to have immune boosting properties. During the Middle Ages, the sap of the plant was commonly used in tea form to help soothe colds and sore throats. Today, marshmallow root is still being used for many of these conditions, in addition to some new ones as well. Its highest medicinal acclaim is as a demulcent. A demulcent is an agent that forms a soothing film over a mucous membrane, thereby relieving minor pain and inflammation of the membrane. For this reason, it is often used to help relieve sore throats and reduce dry coughing. This soothing effect can help the inflamed and irritated tissues of not only the respiratory organs, but also of the digestive tract and urinary organs. 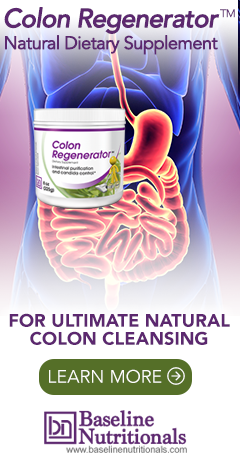 The relief it can provide in the intestinal tract is one of the reasons you’ll find it as a key ingredient in Jon Barron's herbal Colon Regenerator. The root is also said to help increase the secretion and flow of urine, and it is considered to be a good diuretic. For this reason, it can aid in the passage of kidney stones, while also minimizing discomfort. Marshmallow root is also used in combination with other diuretic herbs for kidney treatments which assist in the release of gravel and stones. It works very well for urinary problems and is an essential ingredient for any natural kidney care formula such as Jon Barron’s KGP Flush. In addition, marshmallow root includes factors that combine with and eliminate toxins, helping the body to cleanse. This makes marshmallow an excellent herb to add to other formulas to help neutralize toxins that are the causative factors of everything from inflammation to arthritis. For this reason, it is often used to help fight infections. Even more, marshmallow root holds promise in helping to relieve asthma symptoms and helping with blood sugar management for diabetes patients. When used by herbalists, marshmallow root is often in the form of a tea or a cold infusion (essentially, a tea made with cold water). The infusion is then used to treat common ailments in a variety of ways, from mouth and skin washes to home remedies for heartburn, ulcers, colds, flu, and urinary infections. You can also find marshmallow root in a variety of other forms including fluid extracts, tinctures, dried forms, as a capsule, and in ointments or creams. Learn more about its use in colon detox methods. I've had success with treating Interstitial Cystitis (bladder pain) using Marshmallow Root, Corn Silk and MSM. The Marshmallow Root appears to help sooth the bladder lining. Is it really helpful! !.I too suffering from this disease since two years.plz help me. Is it better to drink the tea warm or cool to coat the lining of someone who suffers from chronic inflammation of the intestines, (CD)? I heard that this is good and can cure my crohns disease. Nothing is working and many flare ups. I use Marshmallow for my little pomeranian for her collapsing trachea. A vet who is an herbalist recommended this to me... and it completely takes away her trachea cough! Hi, I was wondering how much tea to give,and how to give it to my 9 lb poodle. He has the same condition as your Pom. can Marshmallow root be used to treat gangrene? Marshmallow root is an amazing topical treatment for wounds and burns. In the past it was called mortification root because of its ability to prevent gangrene. Externally, marshmallow root is very useful in the form of poultice, to discuss painful, inflammatory tumors, and swellings of every kind, whether the consequence of wounds, bruises, burns, scalds, or poisons; and has, when thus applied, had a happy effect in preventing the occurrence of gangrene. The infusion or decoction may be freely administered. To 134 to 185 using 2tsp of Marshmallow root powder. It is working wonderfully. This will definitely keep me from moving toward insulin injections. I trust Jon Barron's advice over any salesman's. He honestly wants to help people. In our world today there is so much information it is hard to know what you should take, do, who to follow, or trust. A real battlezone unfortunately for the all mighty dollar. If we put that time, energy, effort, and money into helping the world get healthy we would see amazing results. I took almost 15 years researching through a maze of traditional and alternative health before I found Jon Barron. His knowledge is outstanding, his products are superb, and he even offers his book free for those who can't afford it. He is not afraid of stepping on anyones toes to get to the truth, just what the world needs more of! I depend on the miracle doctor to help me to the truth. Thank you Jon Barron, keep up the incredible work!